Please note: Only uniform items purchased at the PB Boys Club / Aristokids or online from the special PBDA Uniform Site of Lands’ End are permitted. Also note: The information on this page is an important part of the dress code requirements. Please read this information thoroughly. At Palm Beach Day Academy, we feel strongly that there is a direct association between how people look and how they feel about themselves. Neat usually means proud and confident. In addition, PBDA has a long tradition of requiring uniforms. Unless permission is otherwise granted, students will arrive at school in full school uniform and leave in full uniform. While the school certainly accepts the principle that all students are individuals, by our traditional nature we expect our students to demonstrate that individuality in their scholarship, character and performance, rather than through extreme dress or grooming. High standards are a significant part of our institutional personality, and we take great pride in that. Accordingly, extreme dress and hairstyles are inappropriate and unacceptable. Except for 9th Grade girls, makeup is not permitted. Hair should be neat, clean and conducive to learning. Bangs for boys and girls should not interfere with their vision. Hair coloring of unnatural colors is not permitted. Jewelry must be conservative by traditionally accepted standards, such as conservative earrings for girls, no earrings for boys and no body rings for either gender. Baggy or tight-fitting clothing and elaborately styled shoes are similarly inconsistent with the spirit of our dress standards, and are therefore unacceptable. Our high standards will sometimes be perceived as conservative, especially in regard to fashion trends. Students who are tempted toward what school authorities would perceive as extreme are advised to resist that temptation. Although such judgments are subjective, the school will make those judgments conservatively, even if it means suspending a student’s privilege to attend school until the extreme is eliminated. For the most part, our students and their parents accept and practice these standards in student dress. That is a part of voluntarily attending an independent school. The school presumes that families knew our standards on application and that enrollment implies acceptance of those standards for students. Whenever students choose to make a personal, political or fashion statement via extremes, school administrators will intercede and insist on standards which we feel are acceptable. We expect students to comply and parents to support our efforts in this regard. *Please note: Kindergarten students do not change their clothes for P.E. ; navy gym shorts are worn under their uniforms. *Please note: Girls in grades 1-3 change their shoes for P.E. ; predominantly white sneakers are required, and navy gym shorts are worn under their uniforms. Student should arrive at the start of the school day properly dressed and groomed. Dress and grooming must reflect neatness, moderation and appropriateness for school. The dress code is in effect from the time students arrive on campus until they leave campus. 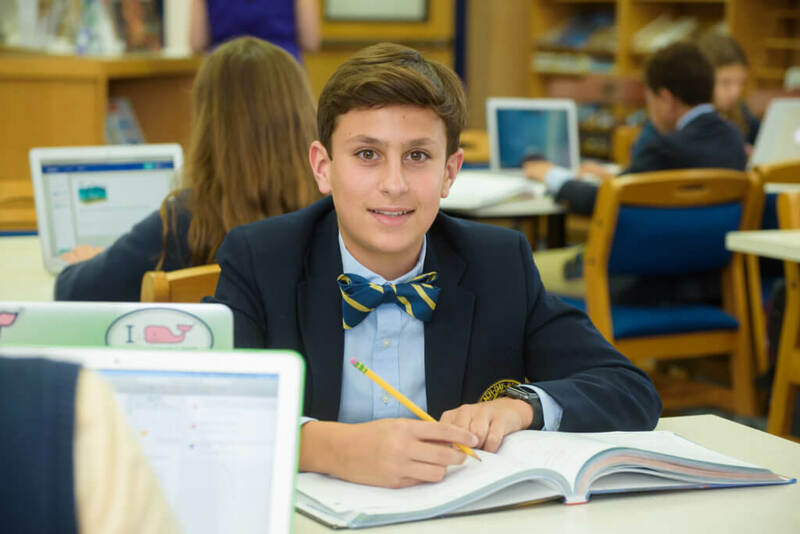 The Head of Upper School reserves the right to determine whether a student is dressed or groomed appropriately. Students who are not appropriately dressed may be sent home, issued a detention, and/or withheld from classes until their parents have brought them appropriate attire. Extremes in fashion, hairstyle, or hair color are unacceptable. Collared, button-down, long or short-sleeve shirts must be free of name brand logos. Collard, button-down, long or short sleeve light blue shirt All collared, button-down long or short-sleeved shirts will have PBDA embroidered on the left side (where a typical pocket would be). No other logos are permitted. Black, brown or navy flat closed leather dress shoes. Navy blazer with PBDA patch. Girls also have an option of wearing the PBDA V-neck vest or the PBDA cardigan. The cardigan will no longer be a part of the uniform beginning with the 2017-2018 school year. The only change for winter dress is that the students will only be allowed to wear white, light blue, pink or light yellow button-down long or short-sleeve shirts. The polo shirt is not permitted during winter dress. Girls may wear solid footed white or navy tights instead of socks. Leggings are not permitted. Dress Down Uniform – Upon approval of the administration, students may be allowed to wear out-of-uniform clothing. Short, long or ¾ inch sleeved shirts with full collars are permitted. Uniform pants or skirts and school shoes will be worn every day, including dress down days. Tight fitting clothing is not permitted. Unless otherwise stated by the Head of School, the dress for students at evening functions at school, such as plays, will be polo or button down shirts, appropriate slacks and footwear for the boys; dresses/skirts/dress pants/dress shirts and appropriate footwear for the girls or the school dress uniform. Shorts, beach wear, flip flops, and t-shirts are not acceptable for such functions. Out of Uniform Dress is required for school dances unless a specific theme is announced. Violations of the dress code will result in disciplinary action. 1st: Verbal warning to student. 2nd: Written warning — parents will be notified. Students with hair violations will have 10 days to correct the problem. 3rd: 5th Detention. Parent conference will be scheduled at the discretion of the Upper School Head. Repeat offenses will result in further action, which may include, but not be limited to sending the student home with a loss of credit for the day’s work. A parent conference will be required prior to readmission. Boys – dress shirt, tie, khakis or dress pants, belt, shoes/loafers – You may choose to wear the PBDA school uniform on any day except Friday which is Dress Uniform. Jeans and sneakers are not permitted.